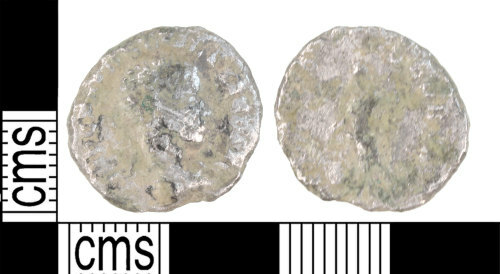 A worn silver Roman denarius Severus Alexander (AD 222-235), dating to the period AD 222-235 (Reece period 11). [PROVID] DEOR[VM] reverse type depicting Providentia draped standing front, head left, Holding in right hand wand over globe and sceptre in left hand. Mint of Antioch. As RIC IV.2, p. 93, no. 294. Measurements: 18.52mm in diameter, 2.1mm thick and 2.27g in weight.